Today i have a small update friends!! 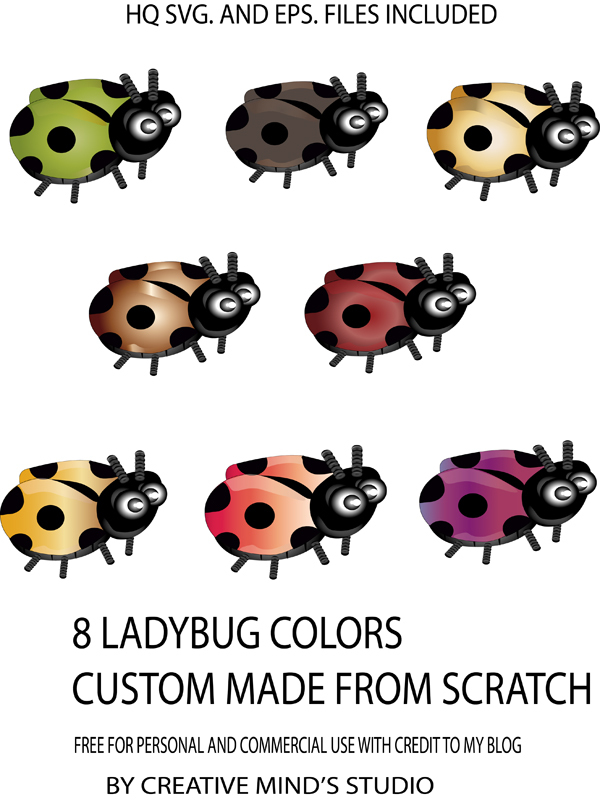 Last time i uploaded a scrapbook kit 'A Bug's World'..It had 3 Ladybugs in it..Today i am going to upload 8 more colors of that ladybug..they are in svg. and eps. format but the EPS. file can be opened with Photoshop and converted to an image..so here they are for you..fully editable vector files free for personal and commercial use..Just give a link back to my blog.. 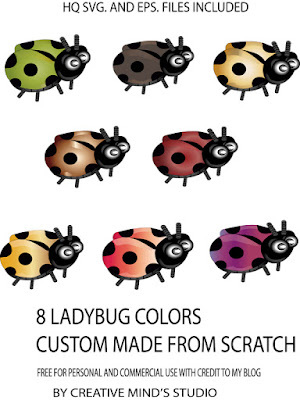 Thanks for adding these cute ladybugs. Thank you! I love the additional colors!